Do you use Twitter? If not, is it because you worry about strangers writing hateful messages to you? 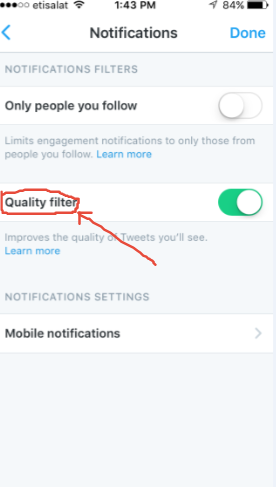 If so, Twitter’s Quality Filter might be relevant to you. 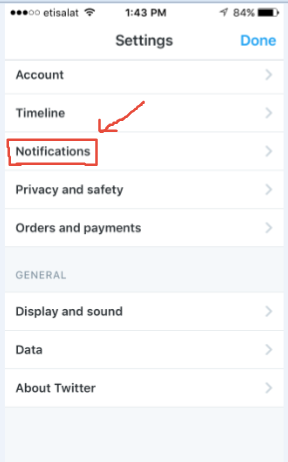 In a blog post (2016), Twitter’s product manager Emil Leong wrote about their new notification settings. As of August 18, 2016, Twitter users will have the ability to limit notifications to people they follow on Twitter. They also introduced a ‘quality filter’ setting. 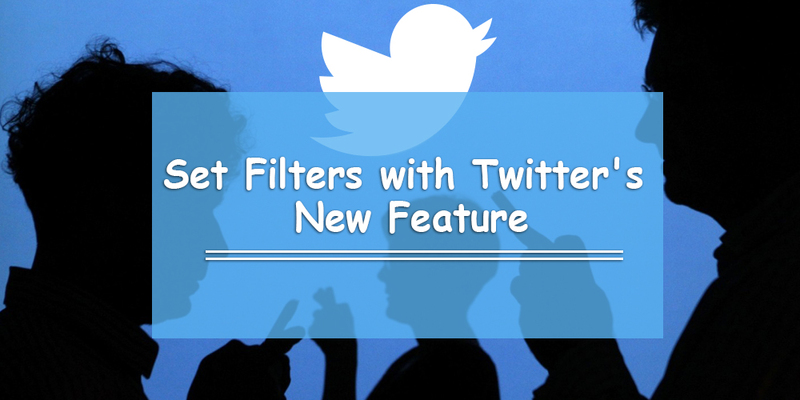 Twitter claims that this feature will improve the quality of tweets users see. 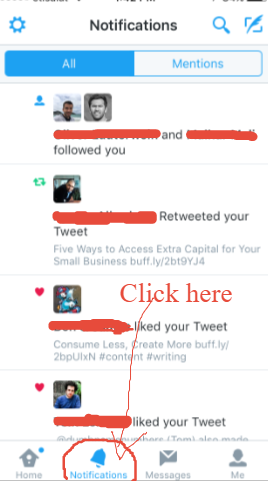 This means that people will see fewer duplicate tweets (i.e. spam) and more interesting tweets. This will be available in both your Notifications timeline. Why Use Twitter’s Quality Filter? Twitter launched these new features as a solution to the cyber bullying issues that have taken place on the site. 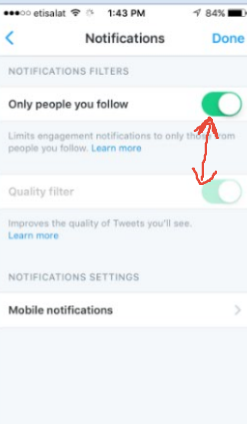 These two options allow you (the Twitter user) to worry less about receiving tweets from strangers, particularly hate messages from cyber bullies and online predators. 1. Tap ‘Notifications’ in the navigation bar. 4. Press the ‘Done’ button to save your changes. We believe this is a step in the right direction for Twitter. It now gives you the option to see tweets from people you follow. To prevent cyber bullying from happening on the platform, the best option is to limit your notifications to only those you follow. That way, the only people who can contact Twitter are those who follow you. Twitter’s quality filter presents a good alternative option, but as Mr. Leong implied, it still needs work. Cyber bullying is a major issue on Twitter, to the point where it is actually affecting several celebrities. Does this help Twitter users? Will you use Twitter more often? Tell us what you think.